*Get $5 OFF GA tickets, exclusively for Funcheap SF readers with code FUNCHEAPSF. Normally $40, you'll pay $35. You’ve seen the multi-million view viral videos. 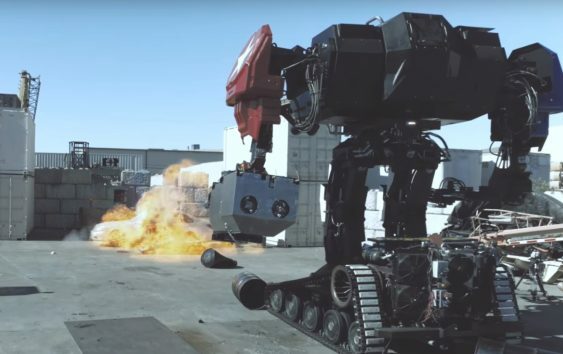 Now, it’s time to see the legendary robots unleash their full-power in person. 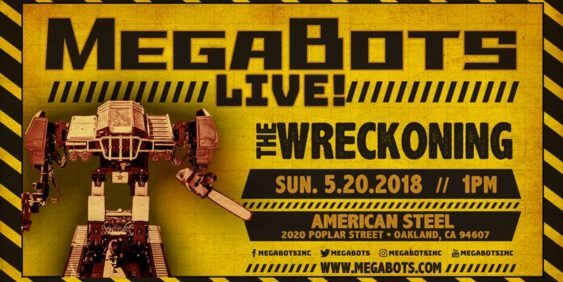 MegaBots is kicking off its summer 2018 live events series in Oakland with The Wreckoning. Witness Eagle Prime, the undisputed superheavyweight robot combat champion of the world, wield its powerful claws to maim and crush washing machines, ovens, and clothes dryers. Feel its thundering 430 horsepower V8 engine in your chest as it spins up its mighty 5-foot-long chainsaw to rip open a cargo van like a soup can.